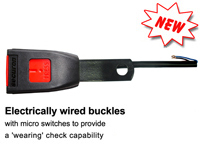 Help restrain the wearer, reduce slide-around/ejection and thereby injury. 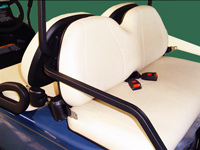 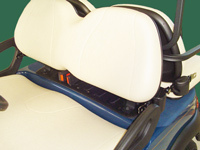 Provided as part of 'Duty of Care' to users of Golf Cars. 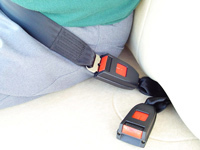 Vehicles should be fitted with ROPS where there is risk of overturn.